Being a watchdog and exposing the privileged and powerful was the idea behind WikiLeaks. The website which allowed whistle blowers to anonymously leak covert data shined a light on government secrets and corporate crimes. 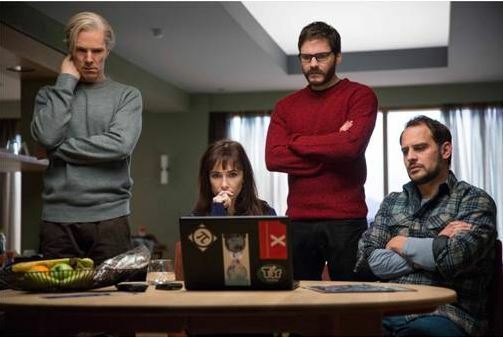 DreamWorks Pictures’ The Fifth Estate is a dramatic thriller based upon WikiLeaks’ founder Julian Assange and his colleague Daniel Domscheit-Berg’s quest to become underground watchdogs of the privileged and powerful. The WikiLeaks platform rocked the media and journalism community. It began reporting and breaking more hard news than the world’s most legendary media organizations combined. The website exposed over 76,000 documents about the war in Afghanistan, a set of almost 400,000 documents called the “Iraq War Logs,” mapped over 109,000 deaths in significant attacks by insurgents in Iraq, and published files related to the prisoners detained at the Guantanamo Bay detention camp. And that was just the start. The film “The Fifth Estate” presented by DreamWorks Pictures and Reliance Entertainment is based on two books: “Inside WikiLeaks” by Daniel Domscheit-Berg and the Guardian book “WikiLeaks” by David Leigh and Luke Harding. The screenplay was written by Josh Singer. Benedict Cumberbatch will be playing Julian Assange and Daniel Bruhl has been cast in the role of Daniel Domscheit-Berg. The film will begin playing in theaters October 18. The real Julian Assange is currently living in a small-converted office room under political asylum at the Ecuadorian embassy.